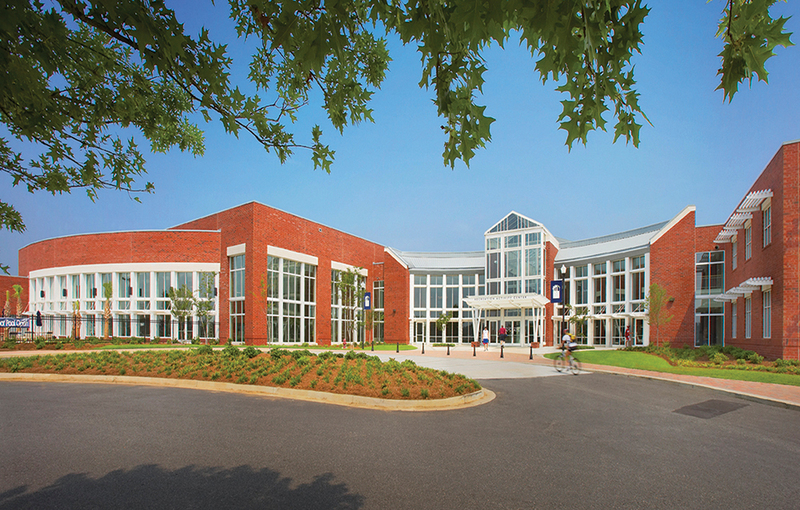 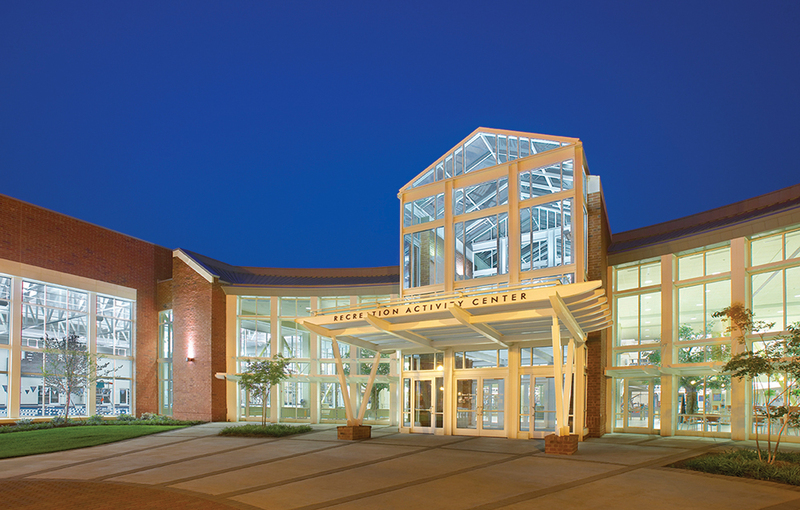 In 1998, Hastings+Chivetta designed Georgia Southern University’s original 90,000 SF, two-story brick-clad Student Recreation Center. 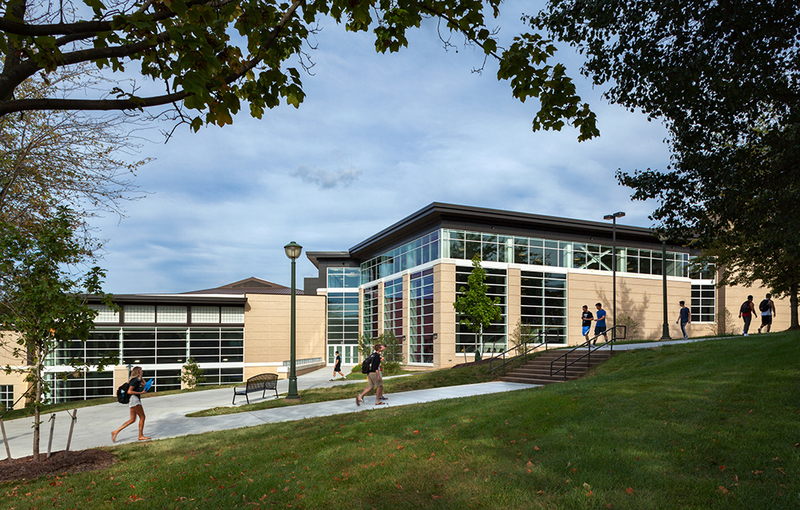 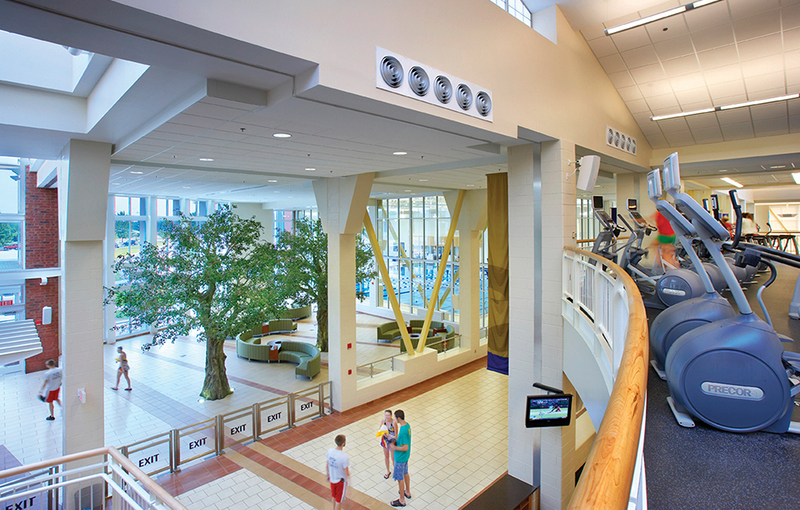 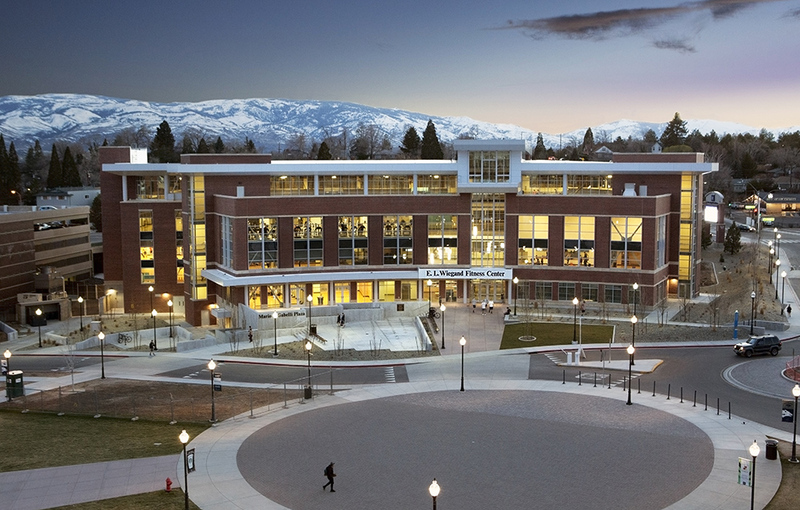 Eight years later and responding to students’ needs for fitness and wellness facilities, the university asked Hastings+Chivetta to design a 140,000 SF expansion. 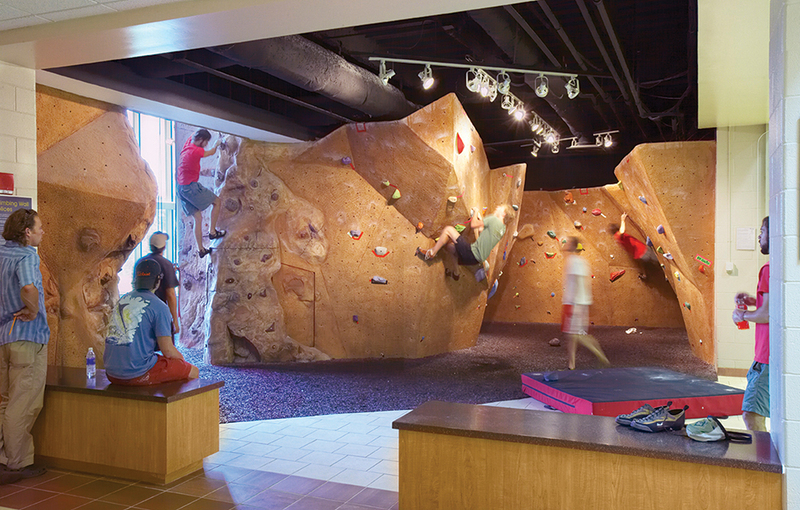 A two-and-a-half story tower defines the main entrance, which features a large contemporary lobby with a juice bar. 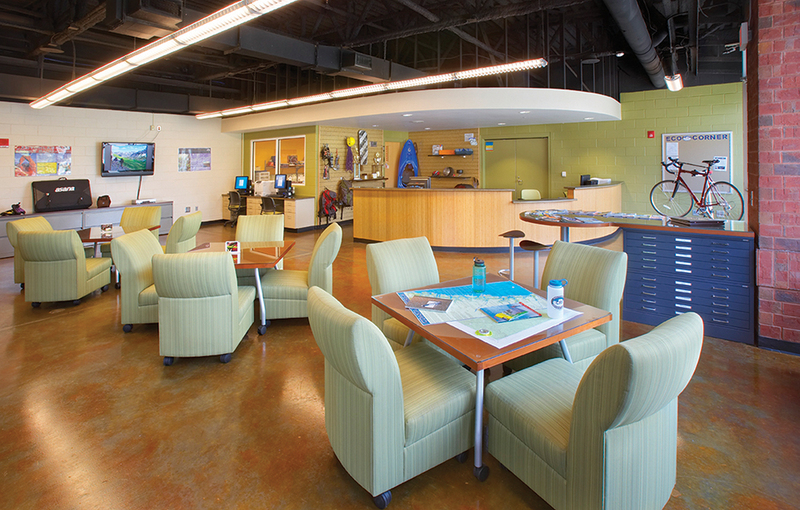 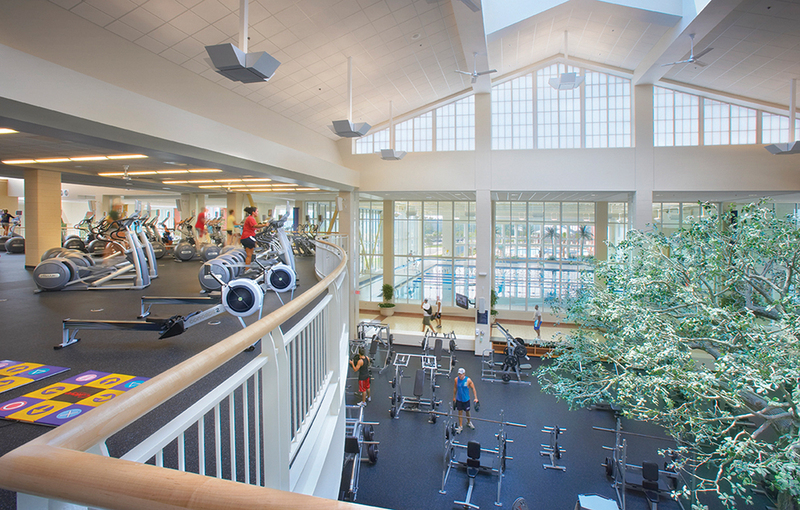 The combination of natural finishes, a neutral color palette, live plants mixed with faux trees, and large windows and skylights throughout the facility provide a fresh appearance that was designed to motivate a healthy lifestyle. 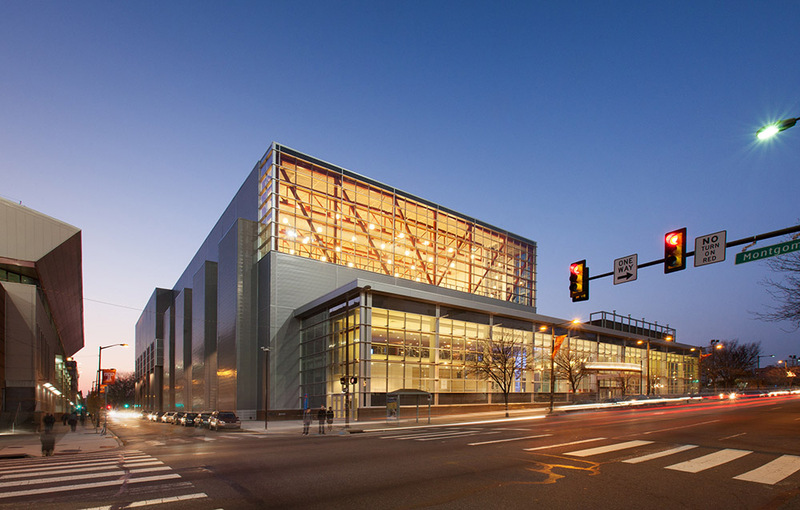 The addition includes a 20,000 SF fitness center, a two-court gymnasium and two separate multi-activity courts. 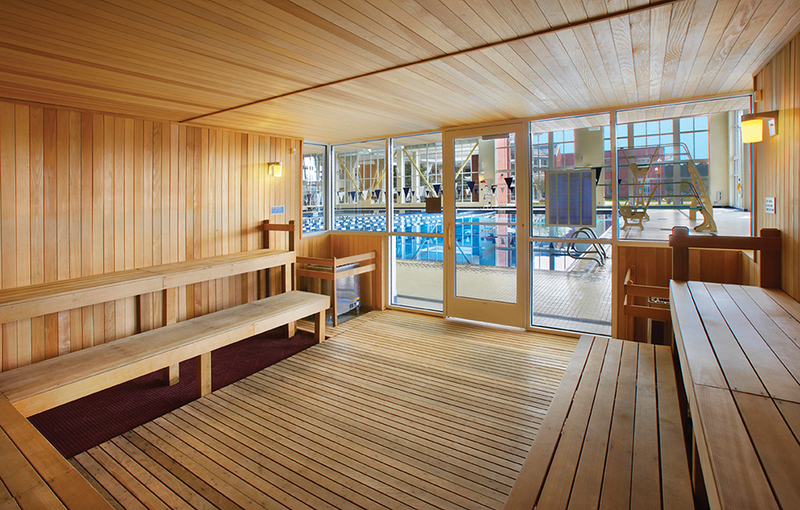 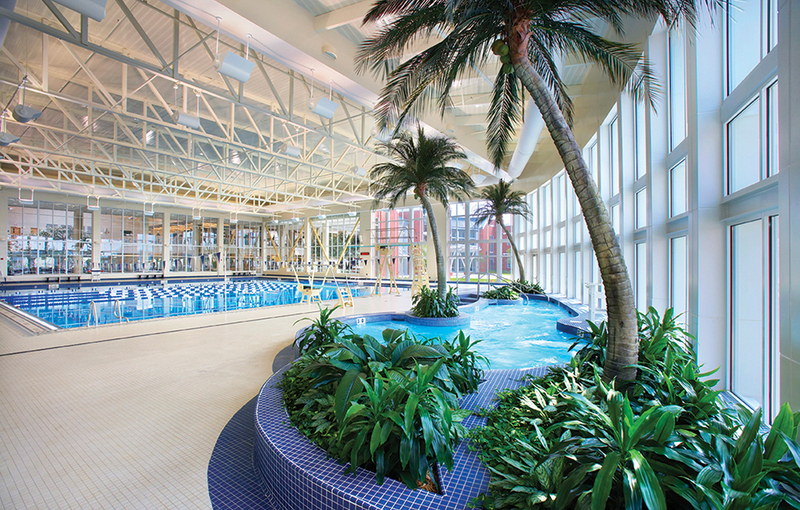 The new aquatics center has an indoor 25-meter lap pool, a wet classroom, a whirlpool and a sauna. 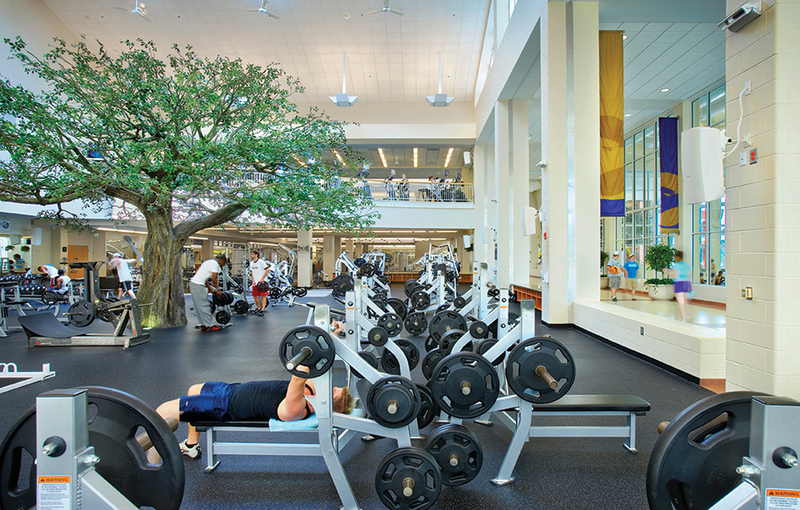 Other new amenities include offices, locker rooms, and a seminar room.